The amount of sugar you add depends on what you are using this icing for. For piping fine lines, as for borders to be filled in with more icing, the consistency should be fairly thick, like frosting. It needs to hold its shape without being so stiff that it's difficult to squeeze from a pastry bag. For glazing large areas, the icing should be just pourable, so that when spread, the surface flattens out. 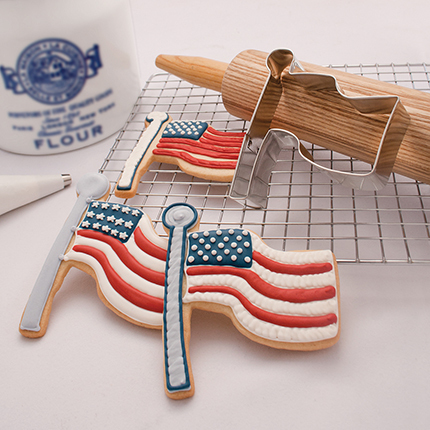 If you're using same icing for both purposes, make the thicker icing first, pipe the borders, then add water a few drops at a time to thin the icing. 2 cups of confectioner's sugar, (adding more sugar if necessary to get the proper consistency).